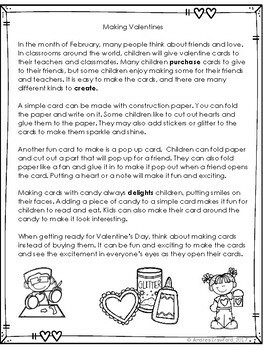 Valentine's Day and vocabulary go hand in hand with these fun task cards. 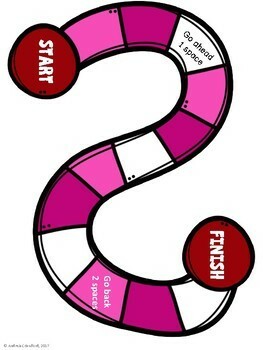 Students can practice various vocabulary skills with these 28 task cards and game. 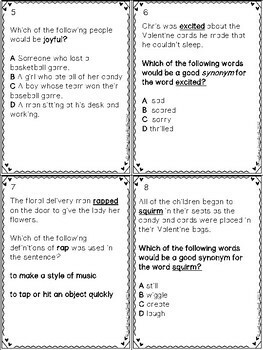 The file includes a passage which includes some vocabulary for the students to use, 28 task cards with various vocabulary skills (context clues, multiple meanings, homophones, synonyms,and antonyms), answer sheet (with key), and game with 2 games boards. Stop by my blog This Literacy Life for more reading ideas and freebies.